Social Plus is simple browser extension available for Google Chrome, Mozilla Firefox and Safari web browsers. Social Plus adds some important and useful features on Facebook like write in colors, Emotions, movable chat window, Picture preview, dislike buttons, Album slideshow and more. After you installed Social Plus extension to your browser can find new option called Social plus on your facebook toolbar. 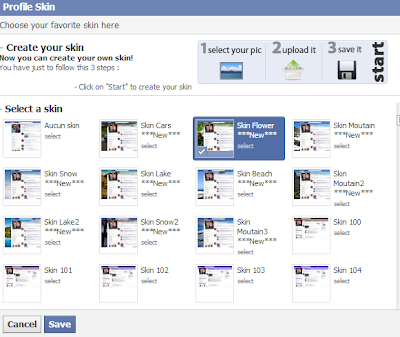 on that You can change your profile themes using Social plus having over 500 skins available. And also you can upload your own image to set on your facebook screen. 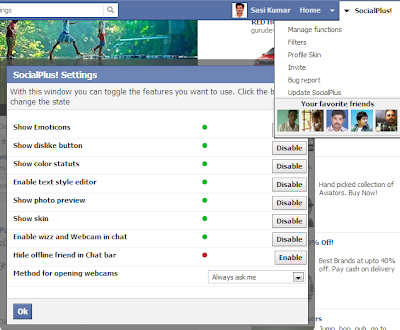 social plus having some other features So install the extension enable some important features. check below video. Download Link - Social Plus!